Witness Testimony: I was notified and saw the entries posted on MLSG showing his actions. Last edited by .seVered. ][; 05-21-2013 at 12:05 AM. how come this looks like people were removing his stuff so he/she gets revengence which he does it to the person that remove his stuff. [76:04] Player  loor  has been warned for Team Removing. [75:21] Player  loor  has been warned for Team Removing. [40:51] .seVered. ][ has send loor to http://www.unrealkillers.com/f14/siege-ultimate-players-guide-2377/#post32708. [35:23]  NJ. was killed by a Mine built by loor. [63:23] Player  loor  has been warned for Team Removing. [62:39] Player  loor  has been warned for Team Removing. [62:30] Player  loor  has been warned for Team Removing. [60:14] Player  loor  has been warned for Team Removing. [60:11] Player  loor  has been warned for Team Removing. [58:28] Player  loor  has been warned for Team Removing. [56:48] Player  loor  has been warned for Team Removing. 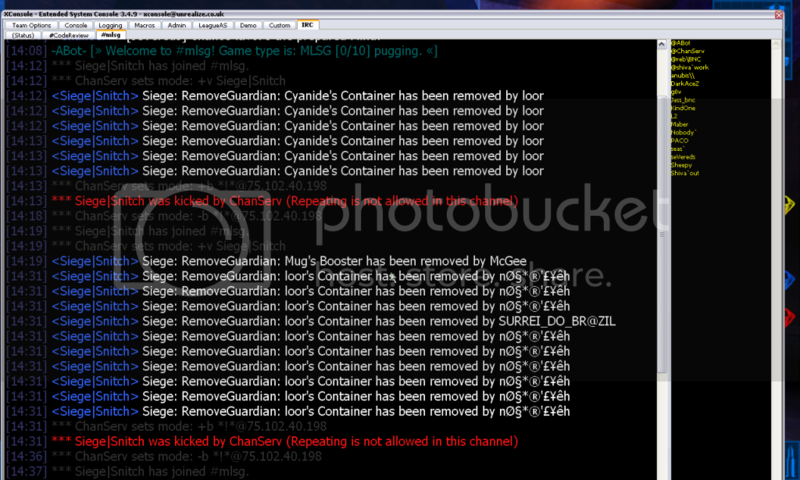 [55:56] loor has been kicked. [55:47] loor has been refused access to the server (1).